The global average conversion rate for ecommerce stores is 2.32%. Some stores, however, manage to get rates as high as 10%. Some may attribute it to the quality of their products. Others might point to the quality of their traffic. But if you dig deeper, you’ll find that the world’s top retailers invest in creating an optimized experience for their customers. For a store struggling to convert browsers into customers, there’s a lot to be learned from these retailers. So in this post, I’ll show you how some of the world’s best performing stores use conversion rate optimization to get more customers. A third of your customers hesitate to punch in their credit card details because of recent data breaches at major retailers. Reassuring customers that that their credit card information is safe at all times is a proven way to improve conversion rates. WalMart.com has a separate section on its website to educate customers about its privacy and security policies. Some of your customers prefer to use their credit cards, some others like to use their existing Paypal balance. By limiting available payment options, you make it harder for customers to finish their purchase. In fact, one survey found that 56% of customers expect multiple payment options at checkout. Note that Alipay also localizes the payment form. If you’re accessing the site from China, you’ll see methods that American customers don’t. Most payment processors will let you accept payments via credit cards, debit cards and even bank transfers. You can also integrate Paypal on the checkout page to give customers another option to buy your products. “What items are in my cart right now?” This is a question your customers have likely asked themselves as they browse through your products. To get an answer, they have to click on the ‘Cart’ icon and navigate away to another page. This halts the customer momentum and creates friction in the purchase process. Remove this friction by making the contents of your visible at all times. For example, once you add a product to your cart on Quiksilver.com, you can see the cart contents by simply moving your mouse over the cart button. Macy’s does the same. After adding a product to the cart, the cart contents are shown by hovering the mouse over the shopping bag icon. Customers easily see what all they’ve already added to their cart without navigating away from the page. With revenues of $2.6B, NewEgg is one of the largest private companies in America. Yet, NewEgg uses several trust markers on its site to assure customers of its legitimacy. In an industry (computer parts sales) where authenticity is crucial, such external validation helps assure that customers of the retailer’s trust worthiness. Try creating a similar page on your site listing any public recognition you might have received. This can be a blurb from a prominent publisher, an award, or a testimonial. After the recent string of data breaches at major retailers, your customers are obviously nervous about data security. Adding a SSL certificate to your site – particularly the checkout pages – can help restore some of their confidence. This is particularly true for users on modern browsers like Chrome or Firefox which highlight SSL certificates in the address bar. This is a quick, cheap way to give your store a security boost. Plus, it might also help with your SEO since Google favors sites with HTTPS/SSL. If you scroll down to the footer at Overstock.com, you’ll see something unique: a link to the CEO’s Twitter feed. Remember: people like buying from other people, not faceless corporations. For large businesses like Overstock, this is a particularly big problem. Adding the CEO’s Twitter feed on the homepage shows that there are real people with real values behind the business. That’s just one way to humanize your store. Another way is to tell customers your origin story, your mission and your key people on your About page. By calling its CEO/COO/VPs “monkeys”, Zappos tells the customer that it doesn’t take itself too seriously. Zappos takes this far beyond the About page. It also offers customers and other business owners tours of its offices, conducts Q&A sessions to help them understand Zappos’ culture, and shares its reading lists and core values with site visitors. You don’t have to go that far, of course. Even something simple as a company blog can go a long way in creating more trust. For example, take a look at Patagonia’s employee blog: The Cleanest Line. Putting up high resolution imagery is old hat in conversion optimized design. To stand out from the competition, you have to find more compelling ways to help customers test or visualize your products. MyHabit’s (an Amazon deals site) 360-degree videos are a great example of this. The video plays seamlessly when a customer hovers over the video button, showing off the product in rich detail. Not all products require a video or 360-degree images though. For stores with limited items, creating dedicated landing pages is a great idea as well. 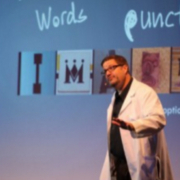 Of course, not all product presentations have to be visual in the traditional sense. Costco sells printers by mailing prospective customers a sample page from the printer. This is a clever way to show the customer how the product actually performs without actually setting up a physical store. In a survey of holiday shoppers, 93% of respondents said that free shipping drove them to take action. Free shipping also ranked as the second biggest factor in ecommerce purchases. Telling customers front and center about your shipping policies is a good way retain visitors. Place this declaration in a highly visible area above the fold, preferably before customers have even had a chance to browse through your products. This tells both local and international customers whether it’s actually worth spending time on your store. JCPenney does something similar – you can see exactly how much you need to spend to get free shipping. This acts as an incentive as well. Customers who are unwilling to pay for shipping might bump up their order value to avail free shipping benefits. Stores with physical locations can go a step beyond free shipping and highlight in-store pickup on their homepages as well. Macy has a unique return policy, so they’ve made it very easy to find. It’s also a good idea to highlight your return policy if you’re selling products customers are anxious buying online. For example, AutoZone gives customers assures customers that they can return their purchases in any store, no questions asked. Your customers will use your store in different ways. Some will dig through technical specs, while others will browse through dozens of reviews before pulling the trigger. Creating product pages that fit each of your customer personas is crucial for a high-converting ecommerce experience. This is necessary since a lot of NorthernTool’s customers are older people who prefer to read on paper instead of a computer/smartphone screen. Such technical depth might overwhelm users on another store, but for NewEgg’s savvy customers, this is a necessity for making a purchase decision. Helps your store get social shares and traffic. 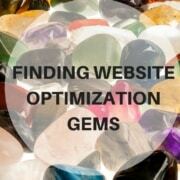 Improves your SEO by attracting backlinks and expanding your keyword footprint. Increases ecommerce conversion rates by helping customers choose a product that fits their requirements. Increases average order value by recommending higher priced products to customers. This strategy is particularly effective for stores that sell difficult-to-buy products such as DIY supplies, computer components, etc. For example, Lowe’s creates a ton of content aimed at helping DIY enthusiasts. This content is displayed prominently on the nav bar under “Ideas & How-Tos”. eBay takes things one step further by letting users create guides of their own. Such user-generated content (UGC) helps eBay attract a massive amount of targeted search traffic. Kate Spade ditches the buying guide in favor of a Tumblr blog. This blog curates styles, pictures and even quotes that help customers choose while also propagating the Kate Spade brand. For a number of upcoming retailers, content is the foundation of their entire store. For example, men’s fashion retailer MrPorter was originally a blog that turned into a store. Even today, its online magazine is the central focus of the store. Creating such helpful content can be a potent strategy for getting more traffic, more conversions and bigger orders. Globally, conversion rates for ecommerce stores vary considerably. While a few stores struggle to get 2-3% conversion rates, top retailers convert as many as 10 out of every 100 visitors. To get such high conversion rates, top retailers use a number of tactics. These range from mitigating customer risk to creating quality content that helps people choose the right products. By using similar tactics on your store, you can radically increase conversion rates and boost your revenue without a change in your traffic or product-line. Use security badges, multiple payment options and third-party rankings, awards and certifications to underscore your store’s safety and trustworthiness. Reduce friction in the buying process by making your cart visible at all times. Tell customers about your shipping and return policies as soon as they land on your site. Create product pages that address FUDs specific to your customer personas. Create content that helps customers buy in order to get higher conversion rates and more traffic. Khalid Saleh is the co-founder and CEO of Invesp Conversion Optimization, a leading provider of conversion optimization software and services. 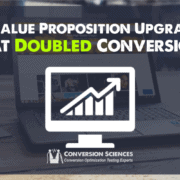 Invesp’s Pii powerful A/B testing engine allows users to test unlimited variations of a landing page and offers them a quick turnaround on ROI. Follow Invesp on Twitter, Youtube and Google+ for latest conversion rate optimization tips. Feature image by Polycart via Compfight cc.